I’m Chet Ricker, senior marketing director for the Poland Springs Bottling Company. Almost 200 years ago my ancestors took a simple idea – Maine’s most delicious water – and turned it into a local business. Boy, we sure have grown since then. We’re now a proud member of the Nestle Waters North America family (a division of Graypool Industrial ChemCorp), but I still think about those early days every time I pick up another bottle of Poland Springs. Our Heritage is the reason I was so concerned last month when I heard that every single one of our aquifers began producing streams of deadly, deadly poison. First, let me thank you for all of your concerned letters and the public outcries of support. That spirit of hope and understanding really resonates with all of us at Poland Springs/Graypool Industrial. Knowing that we have the support of unflinching customers means more to us now than ever. Second, don’t waste your time worrying about Poland Springs. Consider this letter official notice that we’re not going anywhere. I’m writing today to tell you about our new line of Poland Springs Poison. I know what you’re thinking “Water to poison? Really?” Yes, after six generations of tradition and trust, we’re sure that Poland Springs is bigger than water. It’s poison too. As smooth and clear as the beverage we once produced, Poland Springs Poison combines the brand you know and love with the strength of natural and chemical toxins. 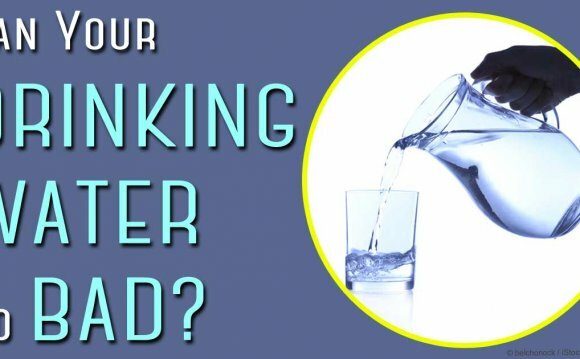 In fact, after the poisonous elements like botulinum, mercury, strychnine, cyanide, and tetrodotoxin found in every bottle, water is the main ingredient. That’s real poison, straight from the source. And I hear you. You out there saying, “Gee, Chet – Aren’t you playing a dangerous game?” But when it comes to you, our loyal consumers, it’s never a game. We don’t want there to be any confusion about our brand. Let me assure you that Poland Springs Poison will be available in all the packaging you’ve come to recognize and appreciate.